Ibogaine use in the UK is relatively rare. The drug and plant is used by shaman in the African Buiti religion as a sacrament (to bring on a trance-like state). 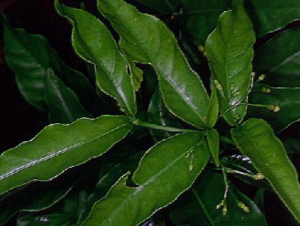 It is currently being tested for its use in treating opiate and stimulant dependency. The drug is both hallucinogenic, a stimulant and a depressant. It causes visual hallucinations in high doses as well as a feeling of lightness, dryness of the mouth, sweating, dilation of the eye’s pupils, increased pulse rate and fine tremors. The peak effect is reached at about 2 hours after swallowing the drug. The drug is not listed under the Misuse of Drugs Act in the UK and so legal to possess, but not supply. It is a restricted substance in some countries, including the US, Switzerland, Sweden and Belgium. Error: Error validating access token: Session has expired on Saturday, 03-Nov-18 03:39:19 PDT. The current time is Friday, 19-Apr-19 14:22:03 PDT.